This Jacket has glorious look with wise fashion designing which is to mark according to the latest fashion. 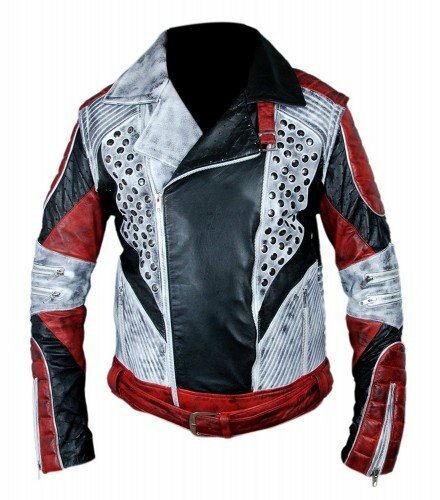 Moreover, this creation is inspired by the famous fantasy and action movie known as Descendants 2 where Cameron Boyce has portrayed the leading character of Carlos and he showed up with this beautiful suede jacket. William jacket has made the same feature jacket for you, which is prepared with quality and genuine leather and its inner is design with rayon soft lining. So this Cameron Boyce Descendants 2 suede jacket has very different styling all over it such as colors theme, its outlook is finalized with three color tones in Red, White, and black. That’s why this jacket has far more choice in wearing different colors. Descendants 2 Carlos suede jacket has YKK zipper shutting down attached with lapel collar which has fur internal lining. As per discussed it styling earlier, it contains full-length sleeve attached with zipper fastening feature cuffs. To make it look like more aggressive in designing it has massive pocket collection different from many other jackets such as two vertical zipper pockets are placed at the waist area, one vertical zipper pocket is on the right side of the chest area. Not only this, but it has also one slanted zipper pocket. 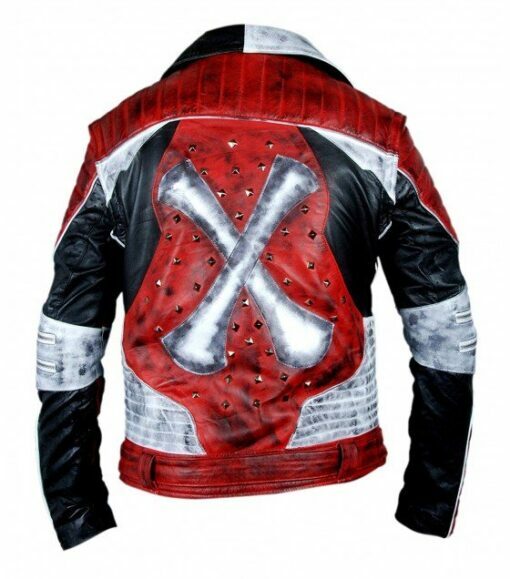 This Cameron Boyce leather jacket is made with neat stitching and with the large “X” at the back side of this jacket. Excellent services. Fast shipping and dress arrived wrinkle free and as a pictured on their website. Prices are fabulous. The dress arrived in the time they said. The online return process was quick and easy.